At the far end of the Lambent Flats resides the House Alliance of the Eclipse. 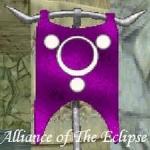 Beliefs: The Alliance of the Eclipse is an OpenSoul, Enlightened House. The Alliance is a house of study dedicated to better understanding the Dream. We seek to shape a brighter, safer future for the City through innovation and ingenuity. Individual dreamers experience the Dream in different ways and through different methods, thus each connection to the City is different. A person may have a weaker or stronger connection to the city at any given time, and thus the effects the city has on an individual may vary depending upon this connection. The stronger this connection is, the more likely the dreamer will feel some effects of the City outside the dreamstate. The shard of that person, however, is not likely to be affected in any way outside of the individual. While most houses manipulate essences as acts of faith, we cleanse essences as a form of refining. The Cleansing removes the chaotic energy, and leaves the primal components available to strengthen the Star, which then powers our equipment and our house projects. While lesser mares may contain trapped souls, we do not believe that the soul is kept within the essence. Any soul is released upon the mare's collapse, leaving behind only the essence of the mare. Darkmares and Datoken are an awakened creature and sentient. Their awakening process is a mystery and is suspected to be corrupted. Be this by design, or accident is unknown. However the faction intends to research the process. The Alliance believes that those native to their city (Lyran) have a rich and varied culture that must be preserved. Likewise, the Idoaclesians have their own culture and history. It is through realizing this that the Alliance believes strongly in understanding the variance in realities. Embracing them each as unique mysteries to be investigated, not merely brushed away. The same may be said for any other 'mysterious stranger(s)' heralding from another reality. It is important to understand that as members of Alliance of the Eclipse we take nothing for granted. We are not a people to stop asking why or how. Question the world around you and fully explore your potential that we may understand the deepest secrets of our existence and relation to the great mysteries. The Alliance of the Eclipse abide by the tenets of Truth, Honor and Understanding. The three circles in our emblem symbolize these. The Alliance is an OpenSoul house in which they put no personal weight in the beliefs of their members. They believe all dreamers and mares alike have a right to dream. They are a peaceful house and do not attack dreamers or mares with arts that causes damage to their DreamSouls. They use non-violence arts for their defense. The Alliance's Seneschal*, Calcum has created an art that transforms a talisman into a kind of essence token called "the Node". This is how they strengthen their Prime Artifact. They request that dreamers do not fight or hunt on their lands. Seneschal - A dreamer who times before the Great Loss who become an advisor to the house with the ability to initiate or demote dreamers. They main function is said to be to restore the houses to their proper beliefs and so on. The Alliance was founded by a group of astronomers who wished to study the sky undisturbed by the politics and conflicts of the rest of the dream. The astronomers were illuminated though, and when the Dreamer Wars began, their brothers in the Illuminated Front demanded their aid, for many of the astronomers were high in sphere, and their research had yielded powerful arts. Not wishing to halt their research, the astronomers started a new branch of the house, the Knights of the Star. They recruited the best warriors from among free spirits, luring them in with promises of secret knowledge and powerful new arts. These Knights would fight in the wars for the Alliance, while the astronomers continued to study in peace. The Star Knights were very successful in the Wars. As the Dreamer Wars drew to a close, the Star Knights came to believe that they, and not the astronomers, were the true Alliance of the Eclipse. And when the battles between Illuminated Front and FreeSoul Knight reached a pause, as the enforced peace of dreamstrike settled over the city, the battles between Star Knight and astronomer within the Alliance began. The Star Knights used blades and chakrams of great power, and the astronomers countered with their arts. Gathering together, the astronomers used a newly created art, to draw power from the sky and, channeling it (through the Power Room), they forced nearly every Star Knight dreaming to awaken. Once this was done, the astronomers demoted the Knights, and regained power over their house. Seeing the harm wrought by the Alliance's involvement in the Dreamer Wars, Alliance Ruler Kal'Arakos was the first to swear the oaths of peace... never to do violence except in the most dire of times, to seek to avoid conflict, not encourage it. Some of the other astronomers swore these oaths as well, those who did not were encouraged to leave for other houses. And so the Alliance became a house of peace... but a far smaller, weaker house than it had once been. The Alliance was founded by a group of astronomers who wished to study the sky undisturbed by the politics and conflicts of the rest of the dream. The astronomers were illuminated though, and when the Dreamer Wars began,their brothers in the Illuminated Front demanded their aid, for many of the astronomers were high in sphere, their research had yielded powerful arts. Not wishing to halt their research, the astronomers started a new branch in the house, the Knights of Star. They recruited the best warriors from among free spirits, luring them in with promises of secret knowledge and powerful new arts. These Knights would fight in the wars for the Alliance, while the astronomers continued to study in peace. The Star Knights were very successful in the Wars. As the Dreamer Wars drew to a close, the Star Knights came to believe that they, and not the astronomers, were the true Alliance of the Eclipse. And when the battles between Illuminated Front and Freesoul Knight reached a pause, as the enforced peace of dreamstrike settled over the city..the battles between Star Knights and astronomers within the Alliance began. The Star Knights used blades and chakrams of great power, and the astronomers countered with their arts. Gathering together, the astronomers used a newly created art, to draw power from the sky, and channeling it (through the Power Room), they forced nearly every Star Knight dreaming to awaken. Once this was done, the astronomers demoted the Knights, and regained power over their houses. Seeing the harm wrought by the Alliance's involvement in the Dreamer Wars, Alliance Ruler Kal'Arakos was the first to swear the oaths of peace.. never to do violence except in the most dire of times, to seek to avoid conflict, not encourage it. Some of the other astronomers swore these oaths as well, those who did not were encouraged to leavefor other houses. And so the Alliance became a house of peace.. but a far smaller, weaker house than it had once been. When the nightmares entered the city, scholars flocked once more to the Alliance's gates. While other houses sought to fight the mares, the Alliance sought to study them. Until the creation of the portals, the city was a dangerous place, and the many peaceful scholars needed a safe place to rest and study. Throughout the Nightmare Wars, the Alliance continued its peaceful studies, and just before the Great Loss, Kal'Arakos announced a discovery. Through a process called Chaos Infusion, a dreamer could learn to understand the mares. Unfortunately,this process inevitably drove the dreamer mad. Alliance researchers were seeking to correct this problem when the Overscanners tried to repair the walls, and the Dorsal Rift swept through the city. 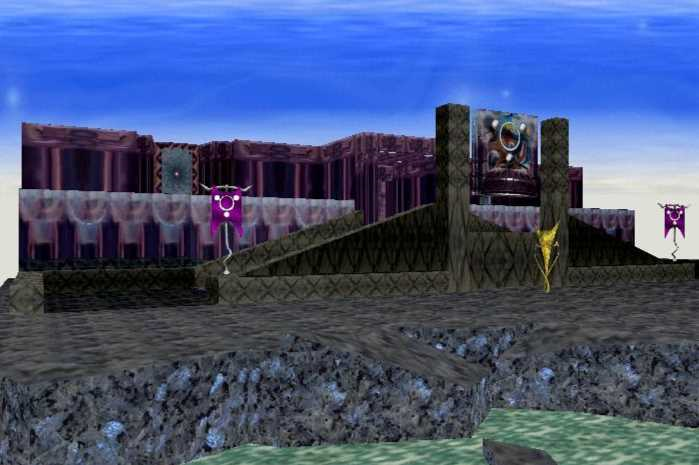 Those Alliance Rulers who had not been dreaming gathered, and drew straws to determine who would remain behind in Cloudsbreak in case of a second rift. Damath was chosen. The other Rulers perished, presumably in the Caudal Rift. After the loss, House Calenture and the Dreamers of Light were the first to reopen. Both these houses, of course,are devoted to fighting against the mare threat. The Order of the Sable Moon was next, and the Protectors of Radiance followed. Again, both devoted to fighting the mares, though some in the Order consider peace an eventual possibility. But there were a few dreamers dedicated to peace in these times as well. Some looked back on our history, and saw the unceasing violence of our past, and sought a new course. Others tried to hunt.. and found they didn't like the feeling of harming another living being (yes, I know some contest that mares are not alive). Still others, like myself, came from peoples on Cloudsbreak, whose beliefs simply forbade violence as a solution to problems. There were many reasons.. but two dreamers, Ambi and myself, sought to bring these peaceful scholars together. We formed a movement which many titled "mare-huggers" but which we named the Seekers of Enlightment. We were not as organized as a house, to be certain.. but we were there. When Damath chose to return to the dream, he found this group, the Seekers of Enlightment, holding beliefs not too far from his own and those ofthe Alliance. Seeing a way to restore the Alliance to its former numbers, Damath joined this group and initiated its leader, Ambi, into AotE. Many of the Seekers joined as well. I was among the last to do so.. resenting Damath's claims to Rulership over a movement my sister Ambi and I had worked so hard on (and also the perceived lack of respect which Damath gave us for our efforts). Since that time the Alliance has grown to include many new dreamers who were never members of the Seekers and also older dreamers who either changed their ways or simply chose to join once we gained a house rather than being just a movement. During the dreamer wars, Turgin Lambent always sought peace. Eventually, he ended the wars with the enforced"peace" brought by Dreamstrike, but he made many attempts before that. One such attempt was the Treaty of Lambent Flats. Turgin Lambent called all the houses to negotiate. 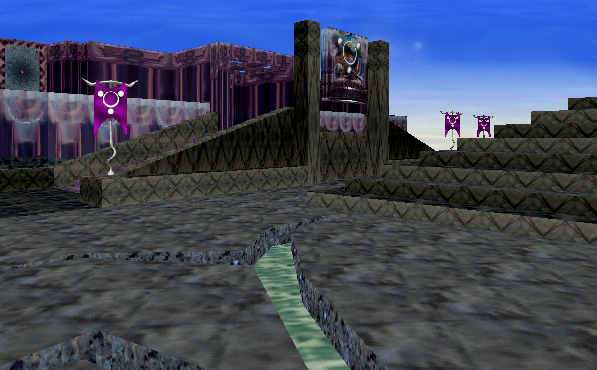 Over several days, he convinced them to declareLambent Flats to be neutral ground (this was presumably pre-Star Knight) and under the guardianship of the Alliance of the Eclipse. No violence was to be brought, by any house, into the Flats. Remember, this was before sanctuaries, so peaceful places to discuss and negotiate could be hard to come by. It may be that the Flats were given Turgin Lambent's name because of his success in brining about this treat.. and it may be that the "Turgin's"rooms where the places where the treaty was forged. Lambent never joined AotE, but he did work closely with Kal'Arakos on several secret research projects later in Alliance history. The circle in the middle of the emblem stands for the city, the three smaller circles stand for truth, honor, and understanding.